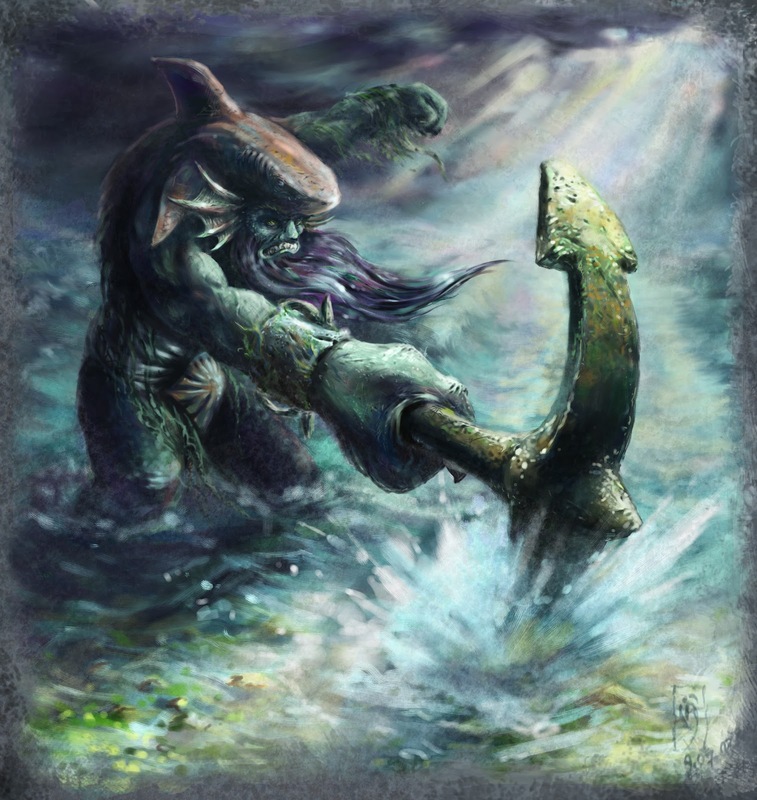 Tide hunter is a big, strong, tanky initiator hero to starting a teamfight. 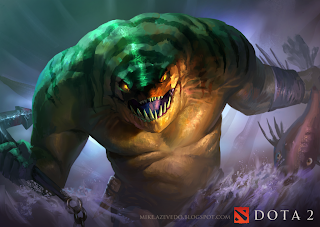 Tidehunter is one of the best initiator on the game. The Ravage is a massive stunning ability for all enemy heroes. He also have the Gush to slow down enemy and reducing enemy's armor. The gush is needed to intiate a gank. He also have the Kraken Shell to tank any damage. And he also have the Anchor Smash to controlg the laning phase by reducing enemy's damage. This skill make your opponent's movement become slow so you chase. Good for initiating a gank. This will make you tanky. If you increase this skill in early, your body will be like rock. Spammable skill for you. Deal a decent damage and required small amount of mana. This skill will also reduce enemy's damage. Useful for early game. Nice skill for controlling a lane. This is your best skill. Very good for initiating a teamfight. All your opponet in the area will be stunned, and that's the chance for your team to attack the enemies. Why Gush and Anchor Smash First? Anchor smash ise very useful for controlling the lane. Gush is very good for ganking. This will reduce enemy's armor that makes the damage received by the enemies will be higher. And the slower will make you easier to chase your target. On early game, try to reduce opponent's damage using Anchor Smash so you will be safer from enemy's harassment. Also use Gush once in a while for harassing the enemy. If you are not as a support role, try last hitting every creep on your lane. Your damage is good on early game, it should be no problem on getting the last hits. And if you are become the support role for your team, you may get the observer wards to get vision over the fog area. Vision of certain area is so important for the team because your team needs safety from any opponent's gank. In this state, it will be many ganking happening. Everybody will roam around the map and find somebody to kill. It's your time to roam too. Don't forget to buy the Smoke of Deceit to hid from enemy's Observer Ward. 3.Use Ravage to initiate a teamfight if there are many enemies in an area. 5. Gush! It will reducing the armor and slow down the target so you can easily harass him. You should already reached high level here so you have an all high level skill and also an already high sats, HP and damage. And so does ebverybody in the map. 3. And then use Anchor Smash and Gush. 4. Use any clickable item in your pocket, you may have Mekansm or Necronomicon. Why Arcane Boots? This boots is needed because you have spammable skills. Anchor Smash and Gush. This is also makes your mana adequate for the Ravage. Why Refresher? This item makes you can use your ultimate 2 Times. Ons level 3 your ultimate will gives 450x2= 900 damage and 2.77x2= 5.5 seconds stun. Imagine that! your enemies will have a very desperate times and your friend will easily beats the enemy. 2 x ulti + 1 x Refresher, then buy this. She have an ultimate to setup your ultimate. So first she must use her ultimate to make all enemies to sleep, and then you come to the middle of the enemies and then after the enemies wakes up, you immediately use your ultimate to stun all the enemies. he blackhole first followed by your ravage. He can steal your ravage, so be careful with this hero. If you don't want your ability to be stealed, you must catch him in your ulty and then you must use your Anchor smash or Gush immediately after your ulty, so when he tries to steal your ravage, he will get anchor smash or Gush. Great blog about Dota 2. If you want to get Free Dota 2 Items, GamersNab.com can be your trusted partner. Stay with GamersNab.com, Cheers! !